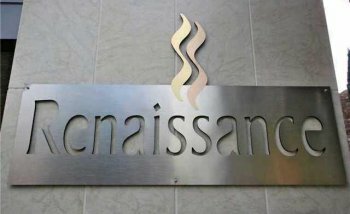 Renaissance is managed by General Manager, Leonard O’Reilly and the Assistant to the Manager, Thomas Campbell; they are dedicated to assisting all owners in enjoying their homes to the fullest extent. If you need to contact them, the General Manager’s office is located in the South Tower Lobby, and the Assistant’s office is in the North Tower Lobby. You can also contact them by mail at 645 Front St, San Diego, Ca 92101 or at their phone numbers or emails below. The Renaissance has its own engineering and maintenance staff. The Chief Engineer Doug Malesza has three assistants, Jerry Jackson, Cosme Tablas and Hugo Evangelista. They work Monday through Friday from 8 a.m. to 4:30 p.m. As an Owner you are able to schedule individual in-unit repairs and handy man maintenance jobs through the Desk Attendant in each building. The engineering staff rates are reasonable (for an up-to-date price list check with the Desk Attendant), and the service they provide is good and professional. Having them perform work is not only convenient, but also has the benefit of their general knowledge of the Renaissance building and systems. The Desk Attendants are available 24 hours a day to assist Owners and Residents in reporting items of concern related to maintenance, building access, and other community related items. The Desk Attendants can be contacted at (619) 595-7070.